Google maps is a powerful platform that can be used in various creatives ways to solve business problems. We often encounter questions about building maps that show custom boundaries depicting sales areas, service zones, delivery zones and routes for staff to run. Pulse engineers use the Google maps API to connect applications and the My Maps feature to create maps to show a graphical representation of the geographical data to be displayed. These maps are often created by hand and then used within an application API for accurate geo location tracking. We created a software for Critter Sitters that maps the zone to a entered zip code to see which dog walker can reach the client quickest. The software changed a process that could take several minutes while the customer waits on the phone to a quick 2 second search. 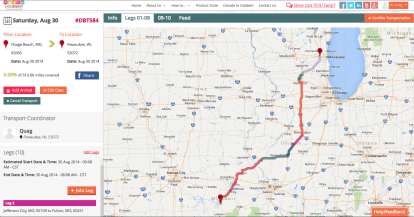 We created a map for Pet Chef Reno for optimum performance while route delivery, customers can see their zones directly from their website making it faster for all involved. We built a tracking system for Doobert so they can visually scan volunteer transports available on a geographical google map.